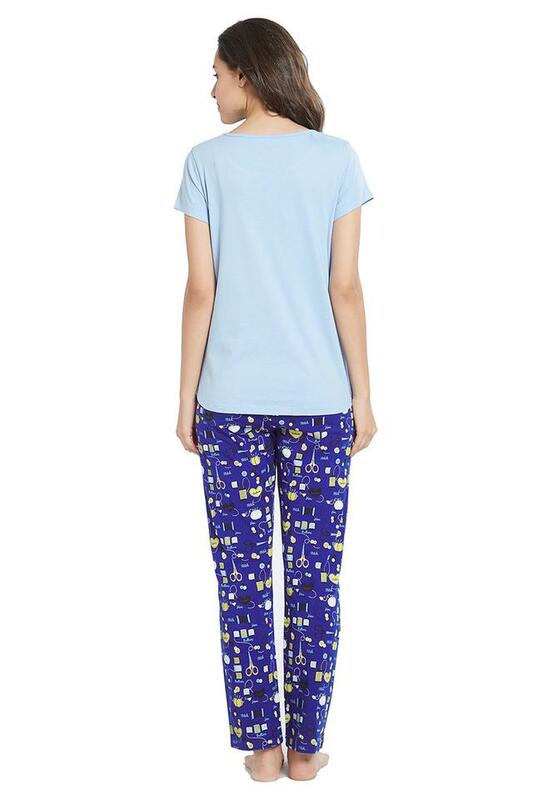 Enjoy an uninterrupted sleep all night long by slipping into this t-shirt and pyjamas set by Mystere Paris. The use of a superior quality cotton fabric makes it comfortable to wear for long hours. The top has a round neck, solid pattern and short sleeves that lends it a stylish look. Furthermore, also the pair of pyjamas is available in a stitch print pattern, which adds to its appeal. 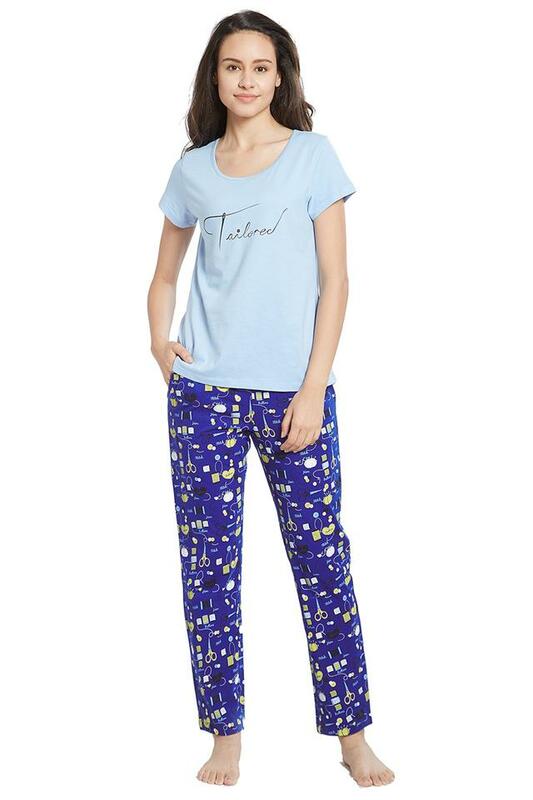 Glam up this t-shirt and pyjamas set and look more captivating by wearing it with lace-trimmed lingerie. Mystere Paris is a fashion brand for the dynamic, multi-faceted woman of today.Chic sleepwear and loungewear for a woman that is stylish and still wants to be in her comfort zone. Our collections are anchored on researched international trends, and offer a global design sensibility.